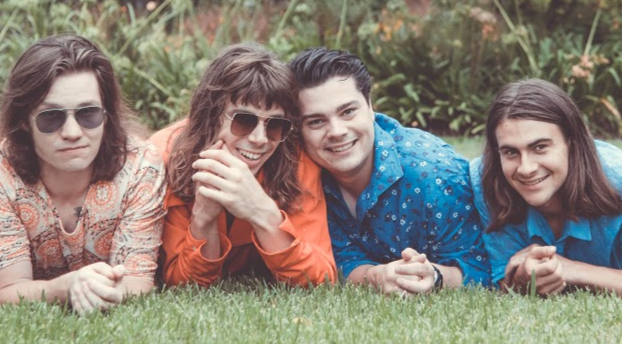 Stepping out of their comfort zone Port Royal are splashing onto the scene with their latest summery rock-pop fusion tune Don’t You Forget About Me and a massive tour announcement! Don’t You Forget About Me is 2019’s summer rock-pop jam of the season, a groovy head bopper with a catchy melody! Blending their signature rock and roll sound with a splash of summery pop, Don’t You Forget About Me has been fast becoming a crowd favourite amongst punters already! “It was a crowd favourite in every set that we played even though it hadn’t been released and we felt that was a pretty good sign that it should be our next single,” said lead guitarist, Liam Morton. The rock quartet are brimming with confidence in this single as they’re proud to say it’s one of their most lyrically creative tracks to date, whilst still holding plenty of sentimental value in its dance inducing rhythm. “What I love about it, is so much of the song can be applied to different relationships within a person’s life. It doesn’t have to be about your partner necessarily, it could be about your mum, an old friend you haven’t seen in years, even your next-door neighbour if you want it to be,” said lead vocalist Lawson Doyle. But don’t think of this track as cry for help but rather, Port Royal are sending out a reminder that you aren’t alone and help is always right around the corner. “The lead chorus line ‘Don’t You, Don’t You Forget About Me’ isn’t a cry for help but rather a reminder to someone that you can be counted on if they need it. The last line of the pre-chorus ‘cause you know, it’s not as hard as it seems’ is saying, whatever problem you may have, we can tackle it together,” said Doyle. With this bright, fun track, they’ll be clearing grey skies right across Australia as they head out on their biggest tour to date! “This has got to be one of the most audacious independent tours in the country. Playing a few shows across town really helps us find our feet in a new place and makes coming back again always just that bit easier,” said Doyle.